Despite 101 blog posts highlighting the crisis within the Crofting Commission, a review being commissioned by the Scottish Government into their governance and countless calls from all quarters for the current Convener, Colin Kennedy, to step down the chaos within the Crofting Commission just seems to get worse by the day. This evening, more chaos and controversy surrounding the Crofting Commission as two officials refuse to attend a board meeting, they say that they cannot work with the current board. Three co conveners, have asked the Scottish Parliament for an intervention in relation to Colin Kennedy. 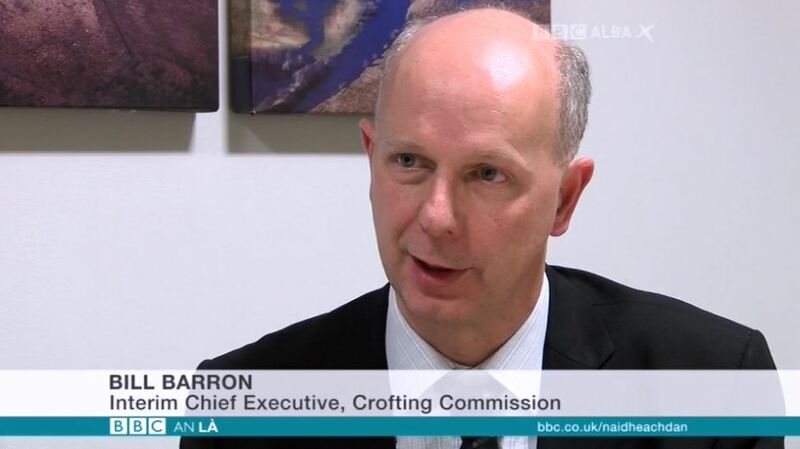 The Crofting Commission has failed now to work for crofters, it’s now a mess, it’s now working in an extraordinary manner, involving people leaving the room and not working with the current Chairman. We start tonight with more absolute crofter chaos, after two officials have refused to attend meetings. They maintain that they cannot possibly work with the current board. This follows from the events that unfolded at the last meeting in Brora. Let us look at today’s meeting in Inverness with Donald Lamont. 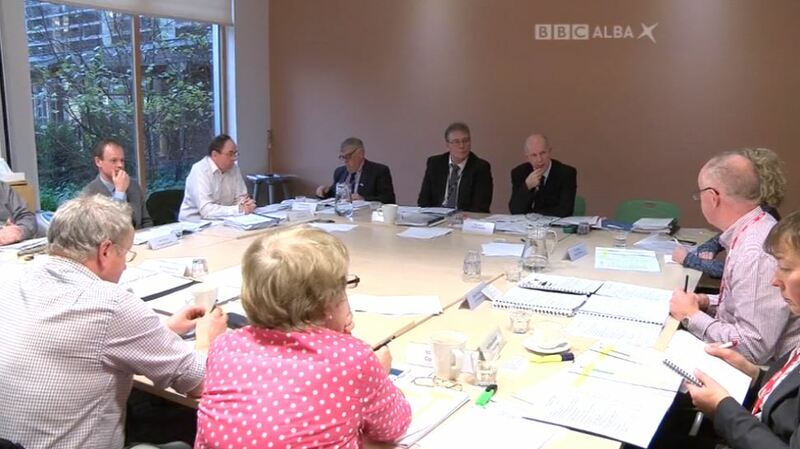 Everything seemed very wrong at today’s meeting in Inverness, first of all it was obvious that not everyone was present. Two officials refused to attend and were not present. This suggests that things are coming to a head for Colin Kennedy, who looked very uncomfortable today. It’s very regrettable to me that two of my staff didn’t feel comfortable coming to the meeting. That’s because, one commissioner has made various allegations, criticisms, about what they have done in recent months. They find that unacceptable and I’m supporting their position on that. One can understand with this news, some of the commissioners are very angry, David Campbell being one of them. This is extremely disturbing, extremely disturbing, the most disturbing thing I’ve come across in my time on this board… that two members of staff, by the sounds of what you said there, feel unable to be present here and by your description are unable to work with this board directly in a public forum… that gives me grave, grave concerns. Few of the commissioners still support Kennedy, but things are far from right amongst the board. With the Commission’s own situation, it is obvious that the crofters themselves are no longer the priority. On Friday we accepted that it was one continuous meeting in two valid parts. What happened today was that we approved the vast majority of the minutes of that meeting. There are two issues still to be ironed out on that. We also noted that there are some doubts about the way the piece of business that led to the motion against the convener, the way that was called, but the commission decided to take no particular further action on that. 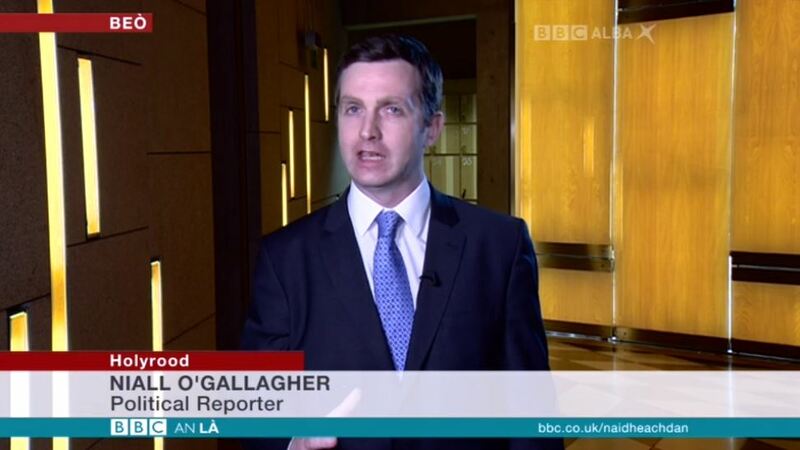 We now go to Holyrood to our political correspondent Niall O’Gallagher. They have now moved their business from the Highlands to Edinburgh in relation to the Kennedy situation. We had three political figures from Labour, SNP and the Lib Dems come together to say that, the minister concerned, Fergus Ewing, needs to remove Colin Kennedy from the Commission to move forward. Talking to us is Lib Dem, Tavish Scott. 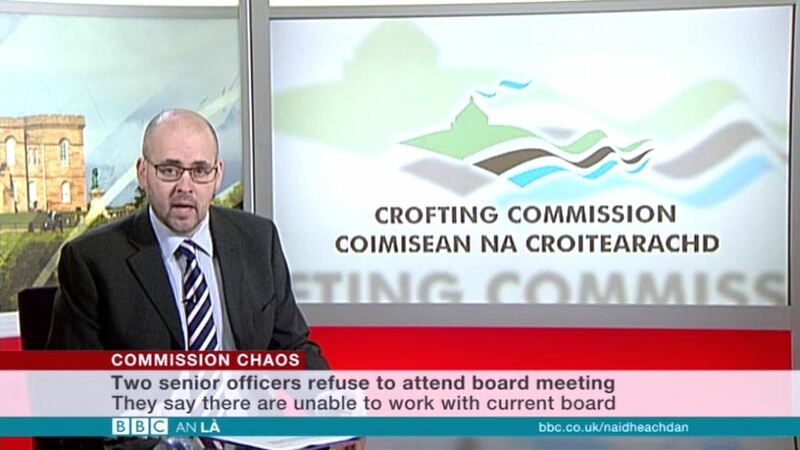 The Crofters Commission cannot carry on with the chairman it’s currently got, and the dysfunctional nature of the organisation where the senior staff meant to work together for the crofters are instead fighting like ferrets in a sack. This has got to change. The minister would have my full support if he now steps in, makes the changes that need to happen, including getting rid of the current chairman, and getting the organisation back to doing what it’s meant to do and that is serving the crofters. Other than questions and concerns about the people involved in the Commission at the moment, there is also questions about the work that they actually do. The opinion many have of the Commission is not a good one, they are not seen to be working to help the crofters who should be their prime concern. 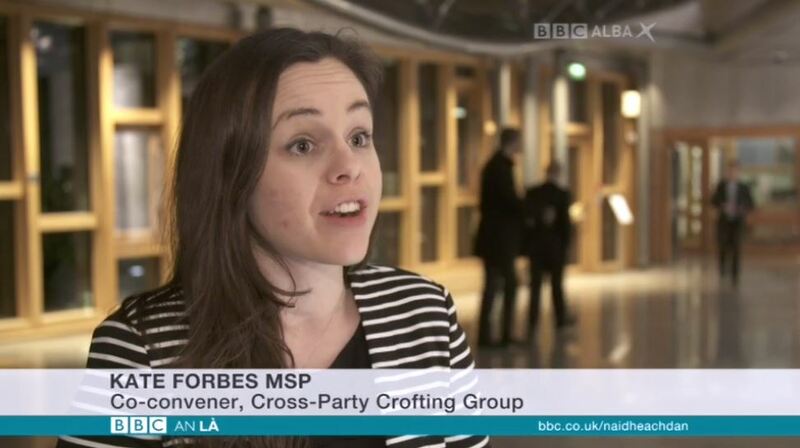 Talking to us from the SNP is Kate Forbes. We need to do something. Next year will be a very important year, they will have elections. We need to change the situation now! Thank you Kate, now back to Niall at Holyrood. What is happening at parliament this evening? We didn’t get a chance to speak to Fergus Ewing tonight. The parliament’s view is that they don’t want anyone with bad intentions within the Commission. We managed to have a few words with Alasdair Allan. Talking on behalf of the government he said that there would be an opportunity to pick new commissioners but that it was not for Holyrood to make any quick impulse decisions. What I realised this evening, was that I was very familiar with the old Commission. Whatever was happening with the old Commission, there was never any uncertainty about the Commission’s own situation. The Commission was somewhat subtle, stable, and although you were now and again not in agreement with the Commission, the Commission was still a guiding stone for crofting affairs. That is not true now at all, ever since the uncertainty arose in relation to those leading, those who shouldn’t even be there, so on and so forth. It is clear (if it was not already) that all is not well at Great Glen House. Now senior employees of the Crofting Commission are refusing to attend board meetings purportedly due to issues involving the Convener. Despite attempts by the Convener to reverse or nullify the decisions taken by the board at Brora he has failed to do so. 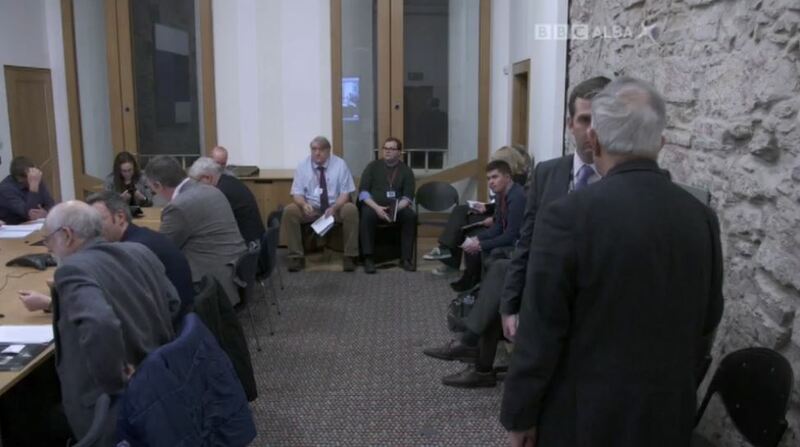 Indeed Bill Barron, Interim Chief Executive to the Crofting Commission, clarified to the Cross Party Group on Crofting at Holyrood, that six commissioners had asked the Convener to stand down at the Brora meeting and have not recanted on that. The Convener has chosen not to. Thus the call from all six commissioners, who met after the Convener walked out of the board meeting at Brora, for the Convener to resign still stands. We now also have it reiterated by MSPs from the SNP, Scottish Labour and Scottish Liberal Democrats that they believe that the Convener should go. Yet the Convener remains defiantly in place, apparently pending hell freezing over. Investigations concerning a complaint made by the Convener against Fergus Ewing MSP, Cabinet Secretary with responsibility for crofting, appear to still be ongoing. The Scottish Ministers have, it would seem, been paralysed from taking any action concerning the position of convener pending the outcome of those investigations, despite the fact that it remains within their power to do so. Perhaps the New Year will see this mess unravel and be properly sorted in the way I suggested it should have been back in April 2016. 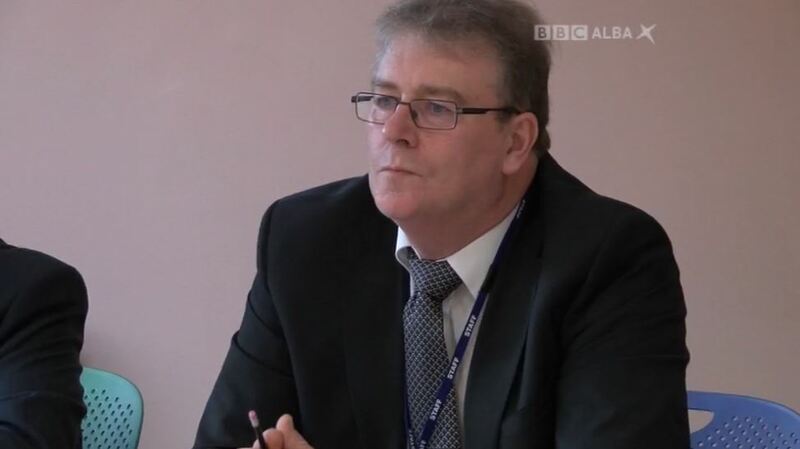 Eight months is hardy a period that would allow Scottish Ministers to be accused of making “quick impulse decisions” as Alasdair Allan MSP suggested might be the case to BBC Alba! 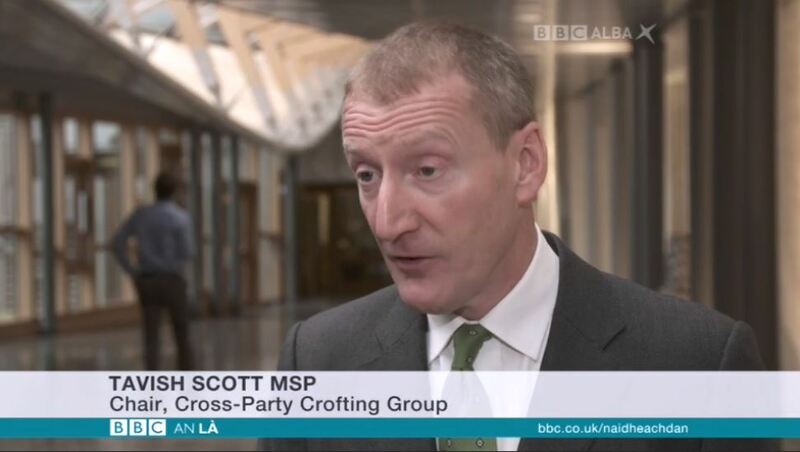 Meantime crofters suffer from a Crofting Commission that cannot, it would appear, be properly regulated itself let alone effectively regulate crofting. This entry was posted in Crofting Commission and tagged BBC Alba, Bill Barron, Brora, Cabinet Secretary for the Rural Economy and Connectivity, Colin Kennedy, Convener of Crofting Commission, crofters, Crofting Commission, Crofting Commission Board, Crofting Commissioners, crofting regulation, Cross-Party Group on Crofting, David Campbell, Donald Lamont, Donald Meek, Dr Alasdair Allan, Dr Alasdair Allan MSP, Dr Donald Meek, Fergus Ewing, Fergus Ewing MSP, Great Glen House, Holyrood, Iain Maclean, Interim Chief Executive of the Crofting Commission, Inverness, Kate Forbes, Kate Forbes MSP, Niall O'Gallagher, regulate, Scottish Government, Scottish Labour, Scottish Liberal Democrats, Scottish Ministers, Scottish Parliament, secret meeting, SNP, Tavish Scott, Tavish Scott MSP, Tiree on December 30, 2016 by Brian Inkster.